As a Motor home owners myself I understand some of the difficulties and concerns when arranging for your vehicle to be serviced. 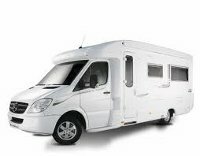 On one hand most Motor Homes and Camper Vans are based on a standard manufacturer chassis (Mercedes, Renault, Ducati etc.) and can be serviced at their specific franchised dealer. However on the other hand most main dealer centres are not equipped or prepared to deal with larger Motor Homes. At Advanced Motorcare we have taken the time to understand some of the specific requirements of Motor Home owners and the specific modifications modern Motor Homes have. Often electrical systems are highly specialised with secondary batteries, mains site hook up and charging systems, sometimes these are further complicated with the addition on Solar and even home fit modifications. Vehicle modified for use as Motor Homes and Campers often have modified mechanical and electrical components not routinely seen or understand by main dealers. Independent Service and MOT Centre located in Radcliffe, North Manchester and ideally suited for Bolton, Bury, prestwich and Oldham.